I haven’t got any information for the band except for two things: 1) the band describes their music as “punk-gypsy-spaghetti-surf-rock” and indeed they sound exactly just like that, and 2) they did a cover of Super Mario Bros’ “Overworld Theme” which is fun! Apart from that, the band pretty much lives on its description, and much more. The good news is for supposedly “jokey” nature of their music, they spend enough time and effort to craft their song into something worthwhile. The tracklist here is pretty endless, divided by shorter tracks and few longer ones, with three short interludes thrown in for good measure. Discussing tracks here is pretty difficult, to put it short, every tracks on here provides something to hold your attention to, be it martial/music hall-ish rhythm of “Seven Shades of Winter”, paranoid driving riff battling with synths on “Girls Running from Bullets”, tempo changes in “Il Bacio”, hilarious latin rhythm of “The Woman in Question”, and so on, to name a few. Note the relatively huge styles they’re throwing in—surf guitars, punk rock chainsaw buzz, a few bluesy licks here and there, music hall, martial rhythms, lullabies, etc. Songwriting is generally good throughout. Some songs are more memorable than others, and some of the longer tracks doesn’t hold my attention throughout, but overall there are enough musical ideas to warrant excitement. Minor drawbacks, apart from the longer tracks, is the singers—not exactly bad, not exactly good, not too emotional, just kinda ‘eh’. 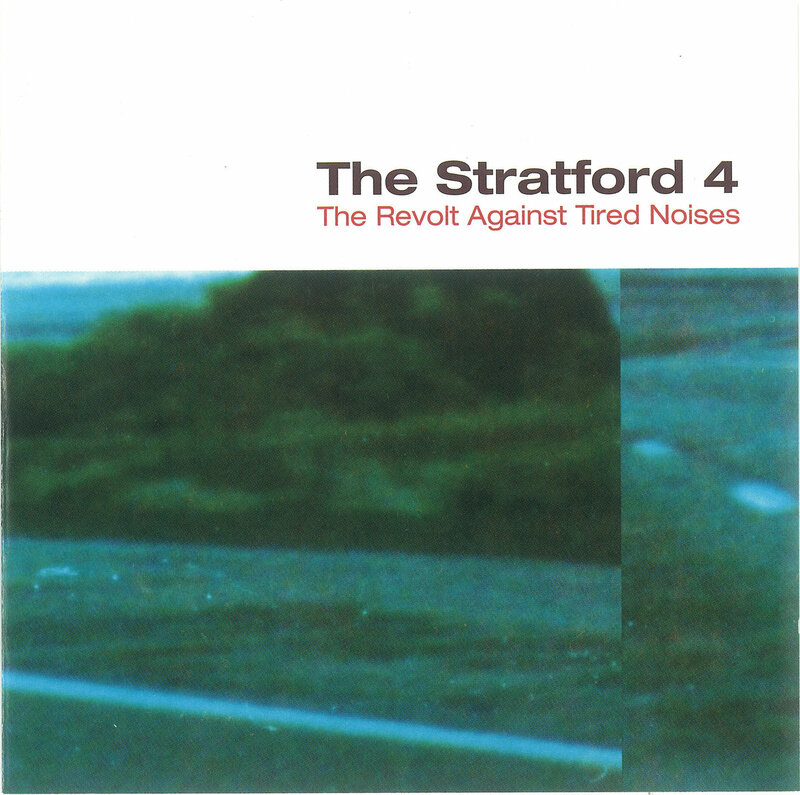 In fact, emotional resonance is not the word I would associate with this album—except for the some of the crushing moments near the end (the second part of “Schadenfreude”). But these are minor nitpicks and does not significantly detracts my enjoyment for the album. I may be the worst person in the world to have been chosen to write this review, as I am not one for vocalists in classical music. There’s a tendency for words to be over-pronounced, vibrato to be applied liberally, phrasing to be inhuman and showy. But at the same time, I don’t speak German. I don’t know what it’s supposed to sound like. I just know I don’t like this. If the singing were replaced by trumpet or violin, just as an example, I think it would be much preferable and I’d be able to get through it. In fact, I enjoy the countermelodies Strauss employs with the string section. It’s just the infernal vibrato-tinged voice that makes this release unlistenable. I know this is an unfair assessment, but I am simply not the person to be reviewing this. The music is moving, the motifs are slightly dissonant but ultimately pleasing. The energy is lilting and morose at the same time. 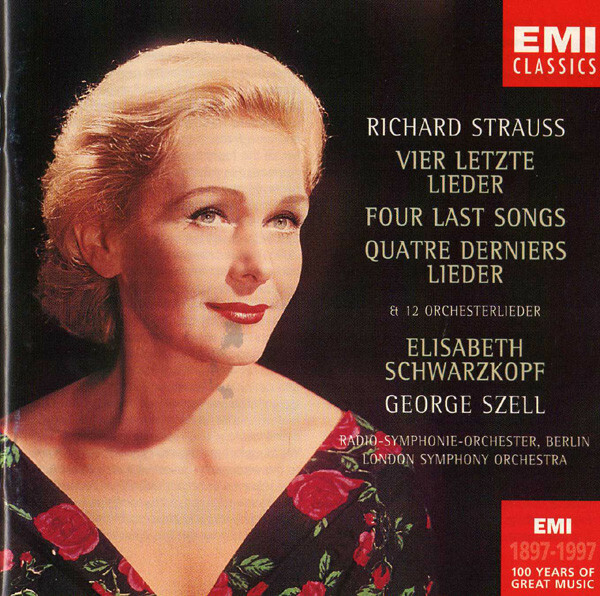 Then Elisabeth Schwarzkopf comes in and it’s torture. I’m sorry. I can’t listen to it. I got through a couple of lieders, but my head hurts. 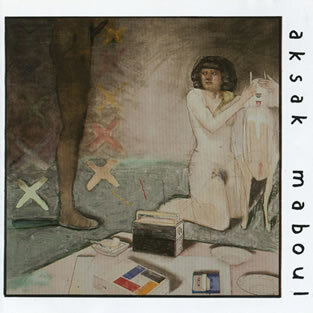 Aksak Maboul’s Un Peu De L’Ame Des Bandits starts strongly with a Bo Diddley beat punctuated by agonized singing/screaming and instrumental passages sounding like a cross between Faust and klezmer. And though the album continues to be filled with strong moments throughout, it really meanders as a whole. Avant jam after another make up the bulk of the album (though I can’t really say what is jamming here and what was written) culminating with the impressive “Bosses De Crosses.” Countermelodies and much of the guitar work sounds like it’s straight from the Residents and Snakefinger, but this collective is comprised of much better musicians than the earlier avant group. I feel guilty for reducing the group to a bunch of comparisons, though those other bands came to mind pretty frequently upon listen. However, I do want to make it clear that this is interesting, enjoyable music. Dissonant, yet melodic. Saxophones burst into counterpoints that rub and run away. The electric violin is always a welcome addition. There are sound effects galore (I think I hear a toilet flushing in the final track?) and grunts and groans sneak their way into the mix. It’s avant-garde. It’s good. Pop Tatari starts off with a track called “Noise Ramones”, which sounds nothing like the Ramones. The thing with Boredoms is comparisons don’t work with them. They don’t sound like anybody. However, like the Ramones in 1976, Boredoms is a revolution. Only they have been for decades, and nobody seems to have noticed. Trying to make sense of this album is a fruitless endeavor, as it jumps from bouts of noise to explosions of sound to bursts of audio. Yelping gives way to extremely distorted guitars which are proceeded by multi-layered percussion. Boredoms has a penchant for the arbitrary, and listening to this album brings to mind experimental excursions such as Faust’s The Faust Tapes and Frank Zappa’s Lumpy Gravy. Compositions are fragmented (and are likely not usually compositions but more probably jams) and stop abruptly. New ideas seemingly come from nowhere. Once you start to figure out a fragment, another interrupts your thoughts. Boredoms have more structured albums (Super AE being an exceptional example) and those with a more flowing emotion/ambience, but this album has the element of surprise. It’s fun because you never know what the next sound to emit from your speakers will be, and it’s exciting both because it touches places all over the musical spectrum and because it’s mixed in a raw and powerful way. 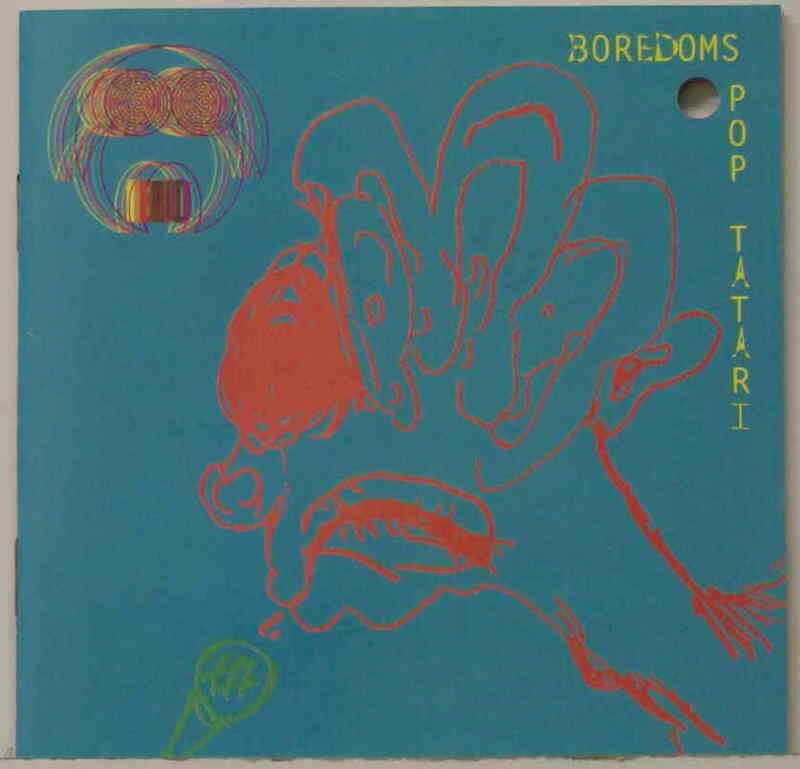 Boredoms always sound like a collective letting loose emotionally and physically, and Pop Tatari is no exception. It’s about as wild as they get, and it’s enthralling.